Tyson Fury wants to look good first, win second. And so it was, he threw a fight in which he was ahead by unnecessarily getting knocked down and almost knocked out in the final round. The scorecards were 115-111 Wilder, 110-114 Fury, and 113-113. It was the knockdown in the final round that resulted in the draw. But considering this is boxing, the scorecards do not tell the story that Wilder was not competitive. The best strategic decision Fury made all night was to mostly remain in an orthodox stance. 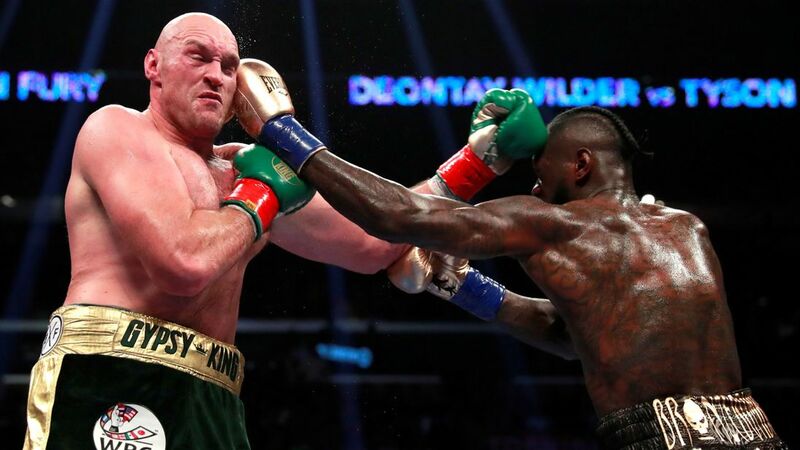 That prompted Wilder to loop his right hand in an arc to land on Fury, giving Fury the opportunity to dip underneath as Wilder overextended and smothered himself. Switching to southpaw would have encouraged Wilder to straighten his right hand, making him more likely to land it with power. And, as Fury’s defense primarily involved dipping, slipping, and weaving, he would have been most reactive in his natural stance. The general pattern of the fight was that Fury stayed on the outside and flicked his jab at Wilder and occasionally landed a straight right hand. Wilder telegraphed overhand rights that missed over the top of Fury, followed by left hooks that Fury pulled away from, and Fury often followed up with counters as Wilder then found himself in a bad defensive position after missing badly. Fury went down in round nine in the most likely way, by an overhand right that landed behind his ear as he dipped down. He was not hurt. Fury rallied back in the middle of the round and arguably made it an even round. Inexplicably aggressive in the twelfth round, as if he needed to put an exclamation point on his assured victory, Fury foolishly got hit with an overhand right that sent him down, and on his way down Wilder clipped him with a left hook to the chin. Motionless on his back for the first few seconds, on pure will Fury used all her his energy to quickly get from his back onto his knees. He then took the rest of the full count to get to his feet. But he still had two whole minutes left. Testament to his ineffectiveness, Wilder could not finish him. In one exchange, Fury hit Wilder with a left hook to the chin that wobbled Wilder back into the ropes. Wilder was lacked aggression for the rest of the round. With a gift draw in which he was outboxed, Anthony Joshua will be even less interested in fighting Wilder who will be viewed as a loser by the British. Szpilka, Washington, Ortiz, and now Fury: - one could argue that Wilder lost every round to each of these men outside of knockdowns or knockouts. The only glory for Joshua would be to stop Wilder completely. It is not worth it. Wilder retained his WBC heavyweight title.